In August 2005, my husband and I learned that we would be adding a second child to our family. At our routine 20 week ultrasound, we found out that our baby would be born with a severe heart defect called Tricuspid Atresia, meaning that the right ventricle did not develop and that our baby would only be born with “half of a heart”. On March 20, 2006, Carlie entered the world at six pounds two ounces, pink and screaming. She remained stable for the first couple of days, but by day three, had taken a turn and had to be intubated. Unsure of how Carlie would do in surgery, she went in for her first open heart surgery at just four days old. Surgery and recovery went well and we left the hospital when she was three weeks old. 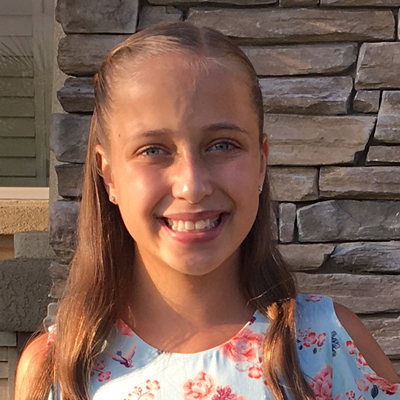 The next six months were a roller coaster as we dealt with many admissions because Carlie was in heart failure and because scar tissue in her aorta was restricting blood flow. After two angioplasties, it was decided that she would need an aortic arch repair during her second open heart surgery, which took place in September 2006. Surgery and recovery went so well, we were in and out of the hospital in three days! Carlie thrived during the next several months and remained out of the hospital until January 2008, when she went in for her third open heart surgery at twenty-one months old. Since her last surgery, Carlie has grown into a feisty, independent, strong little girl. She loves to dance and sing, playing dress up with her older sister, and Disneyland! Our family has been blessed with such an amazing little girl, and we are so thankful that Carlie remains “healthy” today!